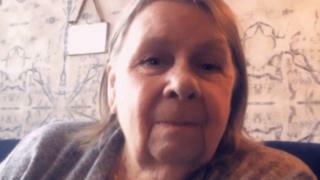 A body has been found by police searching for a missing woman with dementia. Valerie Bycraft, 78, went missing from her home in Spalding early on Sunday evening, prompting a police search of the area. Lincolnshire Police said a body was found in the town on Tuesday night. The force said the body had not yet been formally identified, but the death was not being treated as suspicious and Mrs Bycraft's family had been informed. In a post on Facebook, her son, Timothy Bycraft, wrote: "Thank you everyone for looking for mum (Valerie). Sadly she was found last night too late x."